January 9, 2018 — Beacon Academy has partnered with the City of Evanston to help finance the building of a new gymnasium as part of the renovation of the Robert Crown Community Center. Under the terms of the partnership, Beacon will contribute $500,000 to build a new multi-sport gymnasium bearing the school’s name and logo. 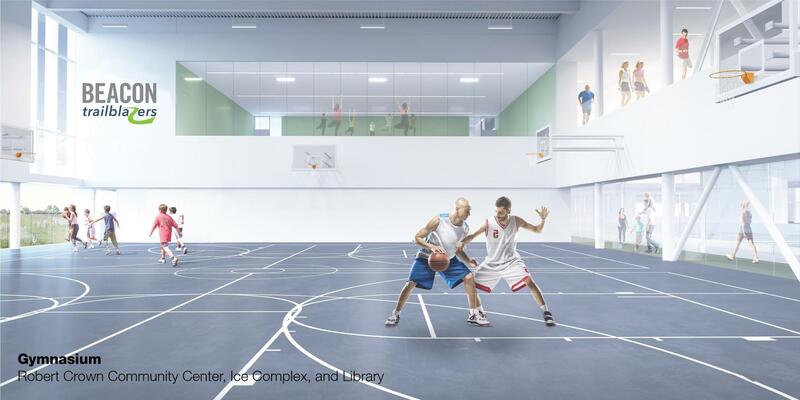 The state-of-the-art gymnasium, which will serve Beacon students and Evanston residents, will have seating for more than 300. Separate facilities will house dressing rooms and dedicated work space for athletic staff. Outdoor facilities will include full-size turf soccer fields, full-size baseball fields, tennis courts, and walking paths. PE classes and athletic team practices and games will continue to take place at the McGaw YMCA while construction is underway at Robert Crown. Students will also continue to use other Evanston parks and Sheridan Shore Sailing Center in the future.